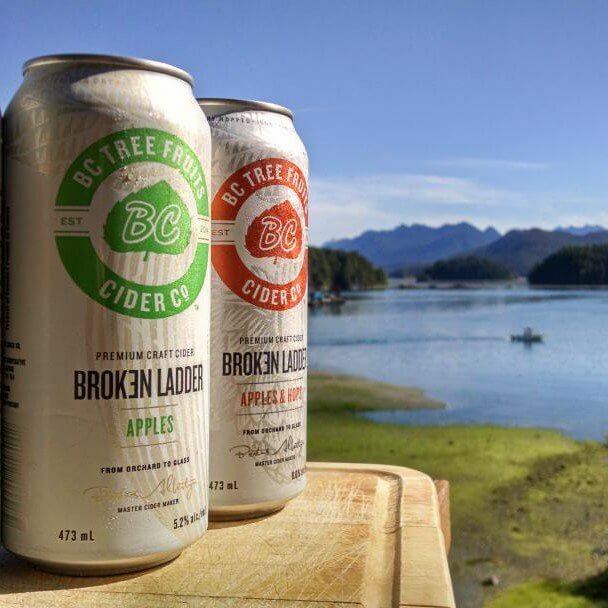 BC Tree Fruits Cider Company’s Broken Ladder Apples & Hops cider took home a silver award at this weekend's Canadian Brewing Awards. The Canadian Brewing Awards is Canada’s national competition for judging the quality of Canadian manufactured beer and ciders. Each year, the Canadian Brewing Awards invites Canadian majority-owned breweries and cideries of all sizes to compete in blind tasting determining the best beers and ciders in over 60 style categories. Broken Ladder Apples & Hops cider remains true to the core with no added sugars or additives. All fruit is grown locally in Okanagan orchards by BC Tree Fruits growers. With the award winning success of the original Apples cider, in March of 2016, BC Tree Fruits created a slightly drier cider with complex tastes and aromas. Apples & Hops bring the beer and cider worlds together to appeal to true cider fans. The BC grown hops adds a distinct dryness to the overall juicy flavours of the original six variety apple blend and brings out the citrus notes of grapefruit on the palate and the nose. In addition, Broken Ladder Apples & Hops premium craft cider is naturally gluten free and contains 6% alcohol. Apples & Hops is available for order throughout BC and Alberta, at BC Government Liquor Stores, through Liquor Connect Alberta, and at select beer and wine stores and restaurants, as well as at BC Tree Fruits Cider Tasting Room at 880 Vaughan Avenue in Kelowna. PreviousIt’s worth the ask: Do you have library wine for sale?